Vyvanse withdrawal symptoms can range from mild to severe and may significantly impair a person’s functioning and well-being, which is why seeking professional detox can be beneficial. 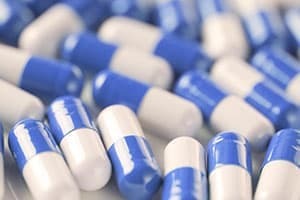 Abusing Vyvanse can lead to paranoia, poor nutrition, and decreased ability to sleep, but quitting can result in unpleasant effects known as withdrawal symptoms.2,4 Vyvanse withdrawal symptoms can range from mild to severe and may significantly impair a person’s functioning and well-being, which is why seeking professional detox can be beneficial. Repetitive, purposeless movements, such as pacing. Higher doses of Vyvanse may increase the risk of experiencing adverse physical and mental health effects. Some of these effects can be fatal without proper intervention. If you think someone has overdosed on Vyvanse or any other drug, call 911 immediately. Effects associated with needle use such as track lines, collapsed veins, HIV, or hepatitis. Effects associated with nasal use such as nose bleeds or perforated nasal septum. Malnutrition, as a result of decreased appetite. Increased risk of heart attack, respiratory arrest, or stroke. Increased risk of injuries due to violent behavior. Legal ramifications, due to theft, drug dealing, or driving under the influence. Tolerance, the need to increase the dose of the drug to achieve the same effects. Withdrawal symptoms, which emerge when use is suddenly reduced or stopped. Sudden death, resulting from dangerously high doses. 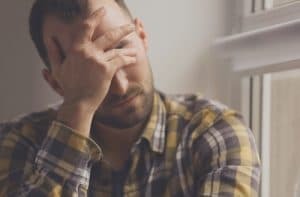 These long-term consequences can be prevented or minimized by seeking professional help, such as a Vyvanse detox program or Vyvanse abuse treatment program. What Is the Detox Timeline? The route of drug abuse (orally, snorted, injected). The dose and frequency of use. The total duration of use. Concurrent mental health and physical health complications. A history of combining Vyvanse with another substance. The process of quitting Vyvanse may be quite different for a person taking the medication as prescribed by their physician compared with a person snorting or injecting high doses of the drug multiple times per day. What Are the Effects of Detox? Seizure activity that develops as part of the active abuse period could reemerge during detoxification. 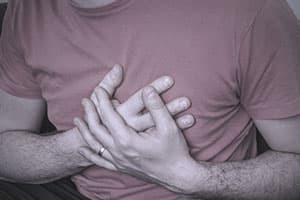 Cardiovascular issues like heart attack, irregular heartbeat, and stroke. Severe depression: The “crash” that follows the initial “rush” can be so dramatic that reality feels very negative. This can sometimes lead people experiencing stimulant withdrawal to attempt suicide. Violence and aggression: Other people experiencing stimulant withdrawal may be confused, paranoid, agitated, and separated from reality, which can result in physical harm towards others. With any drug detox, there is a risk of relapse in an attempt to relieve the unwanted withdrawal symptoms.4,6,7 Additionally, people who originally used Vyvanse for ADHD will likely see a return of inattention, impulsivity, and hyperactivity without the medication, which could present further challenges to recovery. Attempting to detox without supervision and professional assistance could be dangerous. Inpatient treatment: To mitigate the risk of violence, psychotic symptoms, or suicidal thoughts or behaviors during the “crash,” inpatient treatments offer 24-hour care while providing the individual with compassion during this difficult time. Outpatient treatment: For people with lower risks and stronger outside supports, outpatient treatment allows the individual to regularly check-in with a clinic or other treatment outlet while being able to maintain most aspects of their daily life. Outpatient detox treatment can occur at doctor’s offices, clinics, and community substance abuse centers. U.S. National Library of Medicine: MedlinePlus (2019). Lisdexamfetamine. National Institute on Drug Abuse for Teens. (2017). Prescription Stimulant Medications (Amphetamines). Drug Enforcement Administration. (2017). Drugs of Abuse. Iles-Shih, Matt. University of Washington & VA Puget Sound Health Care System: Psychiatry and Addictions Case Conference. (2017). Treatment of Stimulant Use Disorders. Substance Abuse and Mental Health Services Administration. (2015). Tip 45: Detoxification and Substance Abuse Treatment.